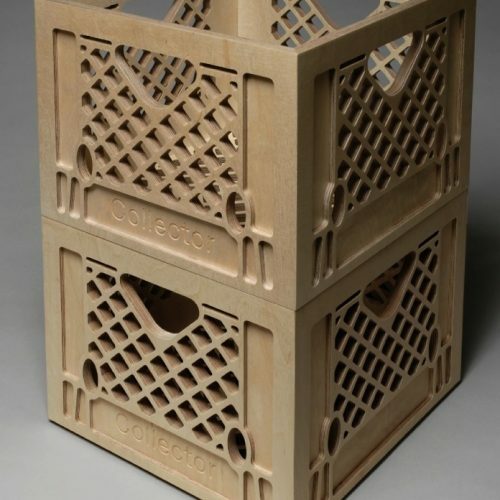 Peter Simensky, Collector, 2007, plywood milk crates, 11 x 14 x 14” ea. 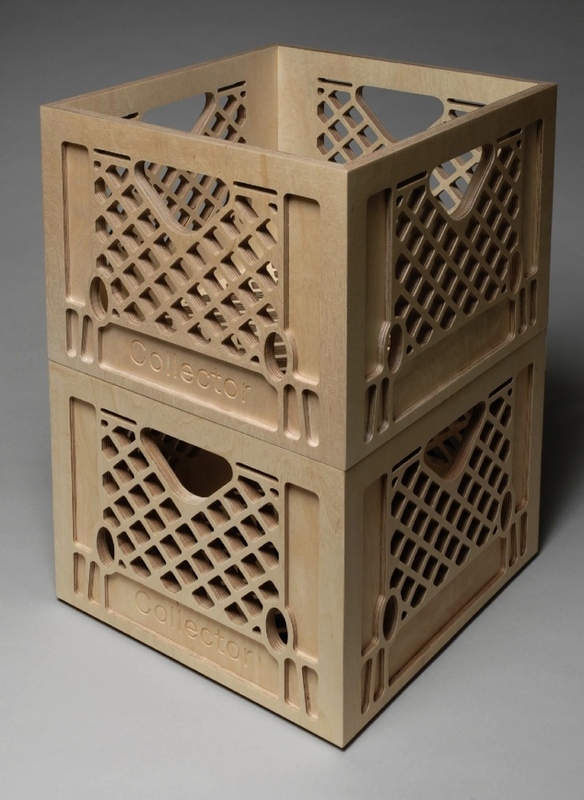 Collector uses the ubiquitous milk crate design as inspiration for a series that incorporates a collection of objects from select artist books, to super eight films, rare records, and ephemera. With adaptable utility Collector offers a blank canvas for the creative act of collecting. As functional ware collector can be stacked as shelving, flipped over as an end table, or marketed as a blank canvas for the art of collecting.